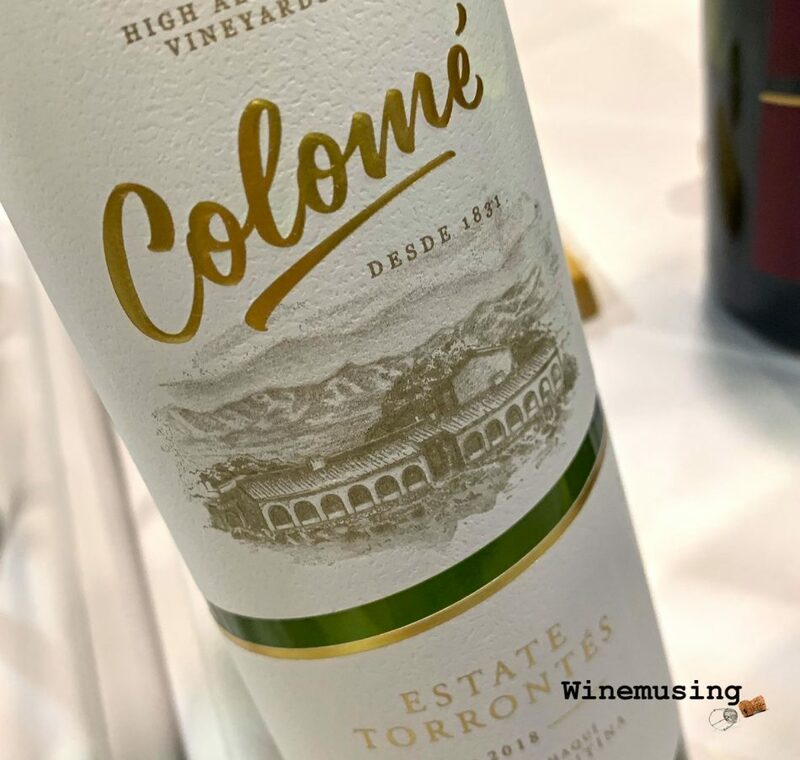 Since the early 2000s, Bodega Colomé has been part of the Hess group which has in the past included the beloved Australian winery Peter Lehmann (now back in Australian hands with the Casella family). This high altitude Torrontes has been grown on the La Brava vineyard 1700 m, which is a semi-arid deep sand and rock dominant vineyard getting less than 200 mm in rain supplemented by drip irrigation. The vines are grown on pergolas and have some age on them, being between 25-40 years old. The altitude allows the aromatic grape Torrontes, Argentina’s flagship white grape, to retain its fresh acid and elegant balance, keeping its heady perfume. And it is heady! Typical spicy rose petal perfume is joined by the fruity notes of apple, peach and mandarin. When you take a sip, the wine is just as expressive on your taste buds and the mandarin peel and spice lingers. Its soft fresh acid is balanced by just a few grams of residual sugar to keep the opulence in check, keeping it fresh. It is reassuring that you can have this intensity without a hot flush of alcohol. Drink this now with a chevre tart or just as good with spicy flavours, including chorizo as well as Asian.